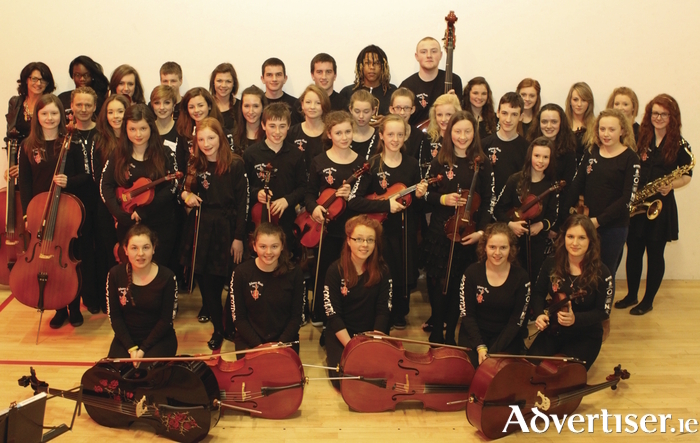 THE ATHENRY Youth Orchestra has been chosen as one of only eight such orchestras from across Ireland, to perform at the 22nd Festival of Youth Orchestras in the National Concert Hall in Dublin. The festival takes place this Saturday, and for it, the young Athenry musicians will perform 'Suite for Strings' by Joan Trimble and 'AthenRag' by Katharine Mac Mághnuis, director of the Athenry Music School. More than 400 young musicians will perform in the National Concert Hall for the event. There will be shows at 3pm and 8pm. Tickets are from €7.50 to €15 and available from www.nch.ie See also www.iayo.ie for more details.